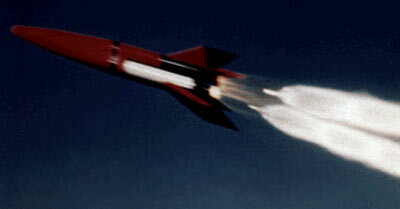 Project Pilot was the first attempt to create a air launched satellite launch vehicle. The vehicle was better known by its nickname 'NOTSNIK', a combination of NOTS and Sputnik. The NOTS-EV1 was also the first all solid orbital vehicle. 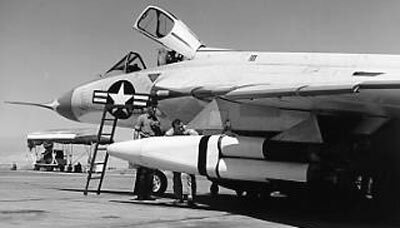 It was launched by a Douglas F-4D1 Skyray airplane. 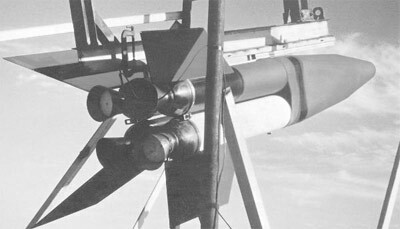 After separation from the aircraft, the first pair of HOTROC motors, derived from the SUBROC anti submarine missile, were ignited. Five seconds later, the second pair was ignited. After jettisoning the first stage, the X-241 and NOTS Extruded motors put the payload into a transfer orbit, which was circularized half a orbit later by the fourth stage, which was mounted backwards in front of the payload. As the vehicle was designed for maximum simplicity it featured no moving parts. All launches apparently failed, most due to structural failures. Some rumors exist, that the payloads of the first and third orbital launch attempt reached orbit, but this remains very doubtful as an engineer involved in the project recalls, that there were some signals picked up by ground stations, but those were most probably not from the satellite.